blue enviro technology and services says "ISO 9001:2015 Certified Company"
" Operation & Maintenance Contract of ETP, STP, RO, DM & Mineral Water Plant "
" Mineral Water Plants "
Is an established firm in the field of water, all kinds of Water and Wastewater Treatment Plant’s. With strong experience and knowledge base, over 14 years in water & wastewater treatment process. Experience and Qualified teams of Engineers, Fabricators & Supervisors along with availability of all machines, tools and required infrastructure enable us to execute the job at unmatched speed, quality and reliability. Water & Waste Water Treatment equipments supply, Erection & Commissioning by BLUE ENVIRO TECHNOLOGY & SERVICES ideally suit the needs of industries, and are superior for domestic applications and offers complete solutions in all the fields of water and waste management. 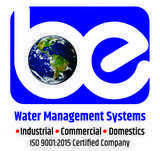 Our company offers the complete range of products and services from concept to commissioning in water management including Recycle of Treated Water and Reverse Osmosis Plant, De-Mineralization Plant, Softening Plant Our highly effective and efficient plants are applied for water purification and it successfully eliminates harmful substances to make water safe and drinkable. Complying with international quality standards and meeting exact requirements of customers, we have become one of the fastest growing companies in this field. While focusing on quality, we supply water treatment equipment of premium quality. Our organization is backed by quality inspectors for keeping strict vigil on procurement products, which are obtained from quality oriented companies. Regular inspections are carried out to ensure quality products, which are done by a team of educated and experienced professionals who have specialization. BLUE ENVIRO TECHNOLOGY & SERVICES is specialized in providing "Operation & Maintenance" facility for all types of Water & Waste Water Treatment Plants. Its Operation & Maintenance team is a synergy of trained personnel with complete experience to undertake complex activities like Electrical, Instrumentation, and Mechanical, Basic process in Chemical and Microbiology applications.